For nearly 20 years, iComEx has made sure that its business clients have highly visible and effective web sites. An effective web presence helps creates credibility for your company. iComEx offers website design and solutions, developed on the Joomla Content Management System (CMS) platform, that are tailored to meet your stated business goals, command attention and help increase your bottom line. iComEx embodies extensive knowledge in web site development, content creation, custom PHP programming, branding, graphic design, conventional advertising, online marketing, consulting, search engine optimization, evaluating trends and market demographics. With iComEx, you will have a website that works for you 24 hours a day, 7 days a week. The internet never closes! Utilizing a thorough discovery process, iComEx works with you to fully document your desired web site functions and technical requirements. 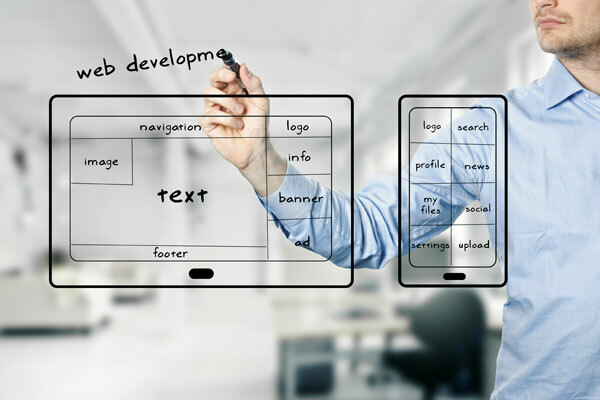 Using an agile development process and dedicated development instances for each project allows you to preview the your site and its features. You have the opportunity to provide input and feedback along the way. The assure that when your site is launched, there will be no surprises. Once your web site is completed and launched, iComEx will have provided you with the tools you need to compete on the web - helping you win and enhance your market share. By driving traffic to your website or online store iComEx provides you with the opportunity to build your business. iComEx helps you develop an online marketing strategy for your business that will help meet your stated business goals and enhance your lead conversion rate.